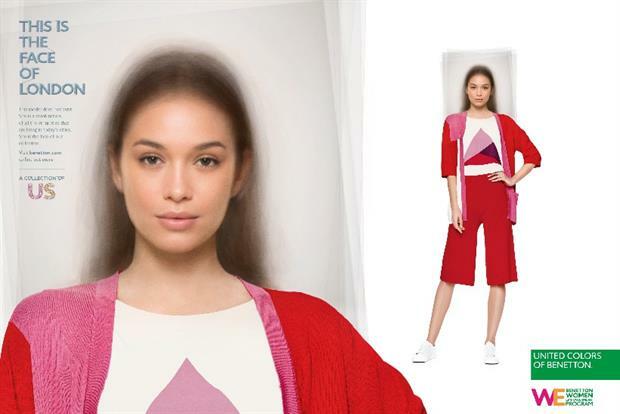 Benetton's latest ad campaign celebrates the racial and cultural diversity of the world's fashion capitals by creating composite images comprising the faces of several ethically diverse models. 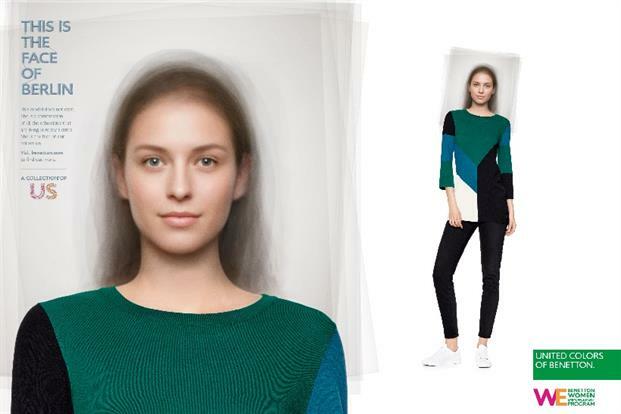 The "The Face of the City" campaign by 180 Amsterdam, which is promoting United Colors of Benetton’s Carnival Collection, features faces representing London, New York, Tokyo, Paris, Milan, Berlin and Paris and uses digital and analogue photography and production techniques. The idea was built on research into the racial make-up of each capital city. Findings included that Asians are the second-largest racial group in London, while in Milan the Filipinos and Egyptians are the most common ethnic groups. For each capital, Benetton photographed a group of women, each of whom represented a different racial group. The portraits were then combined using an algorithm which ensured that the "proportion of each ethnicity was reflected through features such as skin tone, the shape of the eyes and nose, hair type and color, as well as overall face shape."